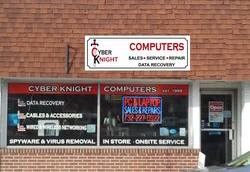 We are Cyber Knight Computers Inc., Central Jersey's Best Source for Computer Solutions. With almost 20 years of providing quality service, we have the expert technicians and professional tools for all of your business and residential computer needs. We offer diagnostic and repair services, networking, and sales. We look forward to seeing you soon! Free parking is available! 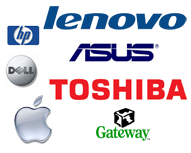 Our expert technicians have the skills and tools to service all types of computers including Apple, Lenovo, Asus, Dell, Toshiba, HP and Gateway. Cyber Knight Computers is a Lenovo Topseller Partner. 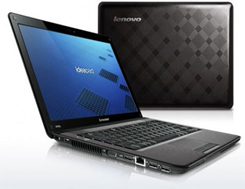 We will provide you with the right Lenovo computer for the job, whether it is a laptop or desktop, for home, the office or for school. We also have a line of custom built computers for high end gaming, graphics, and design. Talk to our knowledgeable staff about which computer is right for you.